Engineering by AnE Solutions Ltd.
All Henderson Food Machinery engineering work is contracted out to AnE Solutions Ltd. They provide fabrication welding and precision machining services to a variety of customers specialising within the food industry. They design and fabricate a wide range of reliable engineering products and components to the highest specifications. 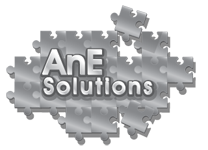 AnE employs a highly skilled and dedicated workforce of mechanical fitters, AutoCAD technicians, sheet metal and steel fabricators as well as stainless steel, Tig, Mig and Arc welding. They are able to fabricate products of any size from small pastry cutters and fireplace trims to large items such as fully automated machinery. They work with a variety of materials including mild steel, stainless steel & Aluminium. At their workshop based in Ballymena they have plasma cutting capabilities and also have an extensive range of plate rolling, plate folding and guillotine equipment. They have a wide range of industrial experience and with their vast knowledge they are able to swiftly recognise manufacturing processes and interpret specific problems within existing systems enabling them to design cost effective and practical solutions.